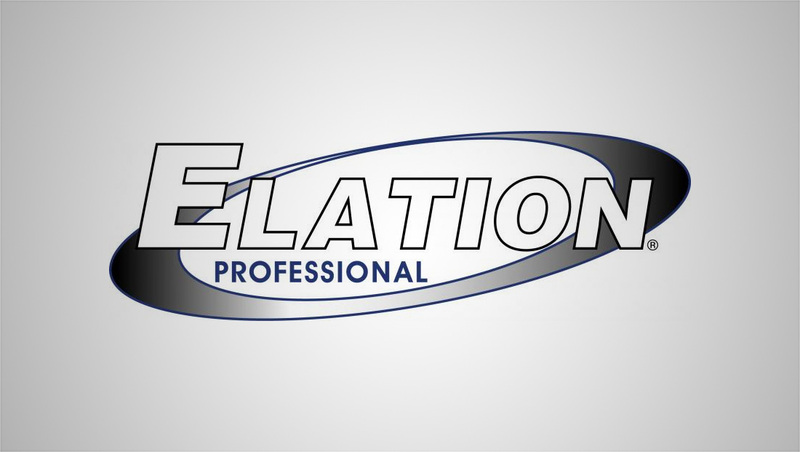 Elation Professional has released the first products in its new DTW Series of variable white LED lights. 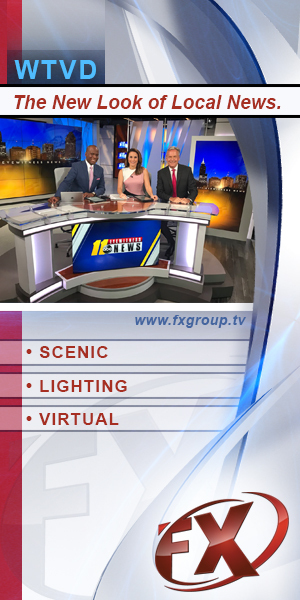 The lighting instruments, designed for broadcast and events, are color temperature adjustable and can emulate the “Dim to Warm” look of conventional tungsten / halogen fixtures. All three fixtures feature full color temperature range control from 2,700K – 6,500K plus independent Dim-to-Warm channel control from 1,800K –to 3,200K for accurate rendition of traditional tungsten halogen lamps. 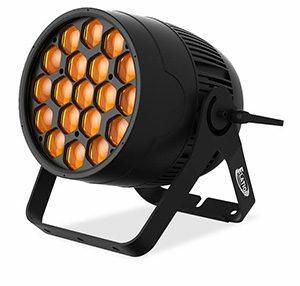 The DTW PAR 300 houses (16) 10W multi-chip CW / WW / Amber LEDs for a soft light that is easily adjustable from warm white tungsten to cool white. Beam angle is 23° with an output of 23,130 LUX @ 3.3’ (1m). The fixture is controllable via multiple DMX channel modes, includes ArtNet and KlingNet protocol support and is RDM ready (remote device management). Outfitted with RJ45 and power in/out connections, it measures (LxWxH) 14.4″ (365mm) x 5.1″ (129mm) x 14.7″ (373mm). 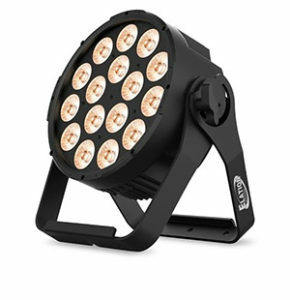 The DTW Par Z19 IP is an IP65-rated Par light that houses (19) 15W 2-in-1 CW / WW LEDs for color temperature adjustments from warm white tungsten to cool white daylight. It includes a 5° to 45° motorized zoom for flexible beam angle adjustment and output is 13,247 LUX @3.3’ (1m) (45° Full ON). The fixture is controllable via multiple DMX channel modes and is RDM ready (remote device management). It features IP-rated DMX and power in/out connections and measures (LxWxH) 15.9″ (363mm) 12.0″ (305mm) 15.6″ (396mm). The DTW Bar 1000 houses (12) 10W multi-chip CW / WW / Amber LEDs for a soft output that is easily adjustable from warm to cool white. Beam angle is 28° and each pixel is individually controllable for greater design options. Capable of outputting 6,425 LUX @3.3’ (1m) (28° Full ON), max power consumption is a low 120W. A frost filter and glare shield is also included when the moment calls for an even softer wash effect. The fixture is controllable via multiple DMX channel modes, includes ArtNet and KlingNet protocol support and is RDM ready (remote device management). Outfitted with 3pin and 5pin DMX In/Out connections as well as RJ45 and powerCON Power In/Out connections, it measures (LxWxH) 35.4” (900mm) x 8.1” (206.4mm) x 6.1” (155mm). All three DTW Series fixtures are wrapped in a rugged die-cast aluminum exterior and come with integrated dual rigging brackets for flexible positioning. Multiple unit power linking makes for quick installation and customizable setups and all three fixtures include a 4-button control panel and LCD menu display for easy hands-on addressing. DTW Series fixtures operate flicker free for use in TV and other broadcast applications and an auto-sensing power supply covers worldwide voltages and frequencies. All DTW Series fixtures offer all the benefits of LED like greater reliability and less maintenance and consume little power for a lower cost of ownership.